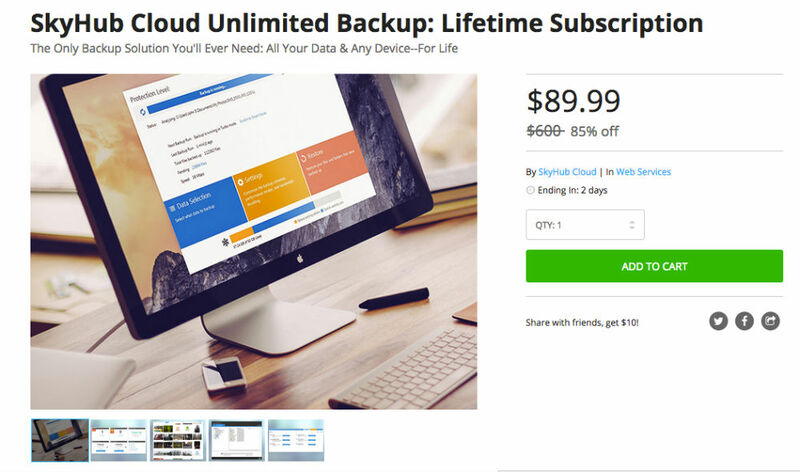 For a limited time on the DL Deals Store, you can pick up a lifetime subscription to Skyhub Cloud Unlimited Backup, priced at $89 down from a whopping $600. With this subscription, users get unlimited, automatic backup for three computers, with the ability to add smart devices, disc drives, and thumb drives. As long as your subscription lives on, you get unlimited storage, meaning you can backup whatever you may want or need. In addition, you can rest assured that your data is stored securely thanks to the service’s advanced encryption. If you need more cloud storage, check it out. Back up as much data as you need—there’s no catch!